Brás Palace Hotel, Sao Paulo discount hotels and accommodation. The hotel is located next to the Largo da Concórdia and to the Brás and Bresser`s subway stations and the primes routes to access to the city. The Brás Palace Hotel brings to the city a new style of hotels.The atmosphere was carefully decorated whit harmoniou colors to become in a hospitable as possible atmosphere . 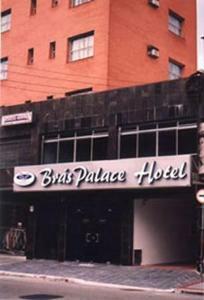 View photos, room descriptions and make online reservations at Brás Palace Hotel. Save on room prices at Brás Palace Hotel, Sao Paulo.